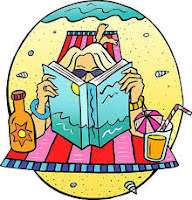 Summer vacation is here for the school children, and, for quite a few of them, reading is not what they are looking forward to. But I am. Even though our time away from work is approaching like a debilitated person inching along on a walker, I am already setting aside some books for a leisurely perusal. 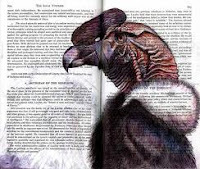 One of these is by Carolina De Robertis. De Robertis is known for poetic historical fiction like The Invisible Mountain, which takes the reader to Uruguay, and Perla, which uses Buenos Aires, Argentina as a backdrop. 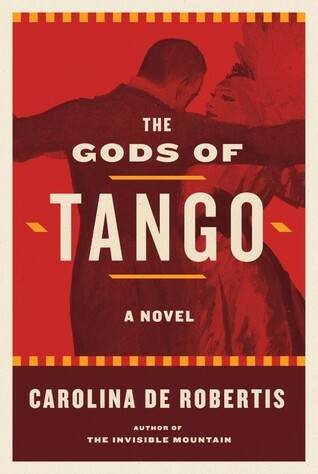 Her third novel, The Gods of Tango (Knopf, July 7) begins in a small village in Italy during the early days of the 20th century. Leda is 17 years old and is headed to Argentina carrying only a few possessions, among them her father's cherished violin. She plans to make a new life for herself in Buenos Aires, where her cousin Dante is waiting to marry her. Bad news awaits her on arrival, and she is told that Dante has been killed. She decides to remain in Buenos Aires, living in a tenement, without friends or family, hovering on the brink of destitution. Despite this, she is seduced by the music that she hears surging out from dark places of the city. 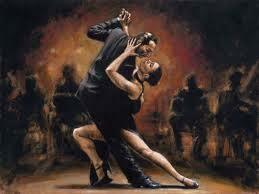 It is the tango, the dirty dancing of the era, which surfaced from the lower-class immigrants. The tango is the illicit scandalous dance of the dives and cabarets of the city, and it calls to her. Prostitution is the main avenue for a woman without means to make a living, but Leda comes up with another devious plan. She has always desired to master the violin but knows that she cannot play in these clubs as a woman. She cuts her hair, binds her breasts and dons her Dante's clothes to transform herself into Dante. As Dante, she joins a troupe of tango musicians with aspirations to greatness. They hope to play for high society. Eventually, the split between Leda and Dante begins to disappear, and Leda faces a dangerous future. Much like the couples' dancing scenes in the movie Evita recreate the ambience of Buenos Aires as it was 100 years ago. so does De Robertis evoke the time and the era of the birth of the tango. I recommend hooking up your iPod with samples of this sensuous music for an enhanced reading experience. 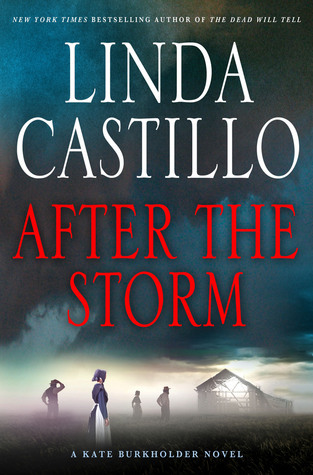 Chief of Police Kate Burkholder, from Linda Castillo’s After the Storm (Minotaur, July 14), is another woman who buried her past and made herself a new life. Kate was raised Amish, and she survived a series of brutal murders in her community. She left the faith and her home after the killings. Kate went into law enforcement in the city before returning to her hometown of Painters Mill, Ohio to head the police force. In this, the seventh of the series, a tornado rips through this peaceful town, and human remains come to light. It's Kate's job to try to identify the bones in order to notify the family. It is quickly apparent that these bones had a sad tale to tell because the death was no accident. Once again, Kate sets out to find a killer camouflaged by the gentle sect. Though the case is 30 years cold, a sleeping beast has been aroused and Kate morphs from hunter to prey, as she is first shot at and then stalked by an unknown assailant. The crux of the story is that there are family secrets, and Kate finds once again how far people will go to protect their own. Linda Castillo has a deft hand at creating slowly growing tension and a desperate feeling of unease. Her books are perfect for a stormy night. 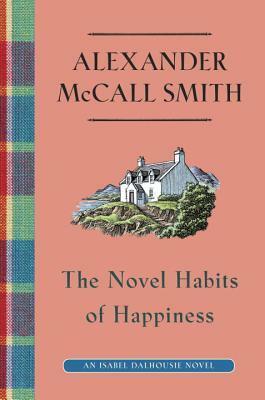 If you were totally wrung out by Castillo's book, a great antidote would be to tuck into Alexander McCall Smith's The Novel Habits of Happiness (Pantheon, July 21). Isabel Dalhousie is a very different kind of sleuth. She is a charming, extremely curious philosopher from Edinburgh, Scotland. The mysteries she solves are felony-free and are basically about delving into moral conundrums. Kirsten, a neighbor of a friend, has a question for Isabel. Why does her 6-year-old son, Harry, keep on talking about his other life? It is one that involves a different home and a different family. Harry's stories are unusually detailed and very consistent from one telling to the next. He speaks of living by the sea with the Campbell family and a view of a lighthouse with off-shore islands in the distance. Isabel and her husband, Jamie, go to visit the area, and what they find leads to more questions and to a very delicate situation. One of the most captivating facets about Isabel Dalhousie is the way her mind wanders into moral discussions as the events of the day pass her by. 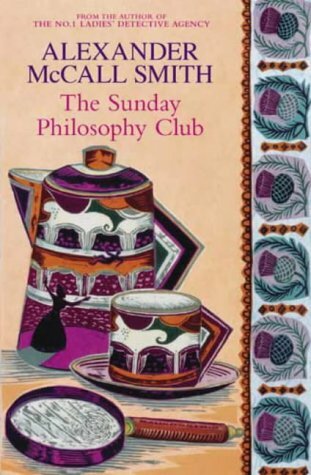 In the first book of the series, The Sunday Philosophy Club, the reader follows Isabel's mental digressions as she considers such odd moral dilemmas as whether it would be hypocritical for an obese person to recommend a diet and the very interesting thoughts on the moral responsibility of lying. As a philosopher, Isobel believes an unexamined life is not worth living, and she uses her philosopher's mind to untangle unusual problems. British writer Robert Goddard is a master of the clever twist. His books cover crimes that are set in different parts of the world during different times of history. As Goddard puts it, they have in common the infinite capacity of human nature for intrigue and conspiracy. He writes about unprincipled chicanery, unsolved crimes, unforgiven betrayals, and unforgotten jealousies with double-crosses and triple twists. 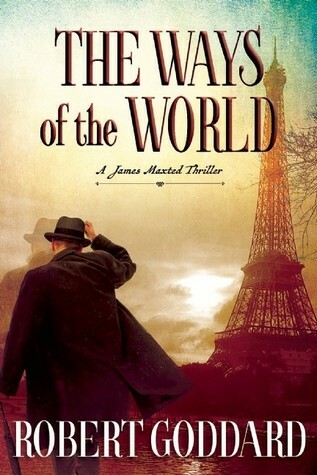 The Paris Peace Conference of 1919 is where Goddard sets The Ways of the World (Mysterious Press, June 2), the first in a trilogy featuring James Maxted, a former pilot in the Royal Flying Corps. Max, as he is called, survived the Great War only to be caught up in another maelstrom. Max and his sidekick, an ex-plane mechanic named Sam Twentyman, struggle to discover the cause of Max's father's death. Henry Maxted, a diplomat, was found dead outside his mistress's apartment building in Montparnasse. Suicide is the easy answer, but Max and James feel it is part of a series of strange deaths of other diplomats that follow Henry's demise. Max and Sam are a likeable pair ,and the trilogy promises to be enjoyable. The British edition came out two years ago, but this edition is worth waiting for.